Ladies and Gentlemen, as you are keenly aware, the people of the United Kingdom (UK) voted in a referendum on Thursday, June 23 for Britain to leave the European Union (EU) after 43 years of membership. My Government respects the democratic decision of the British people to end Britain’s membership in the EU. Democracy is something that we all cherish. We are the servants of the people we represent. Since the results of the referendum were announced, events have been and continue to be fast moving – from the financial markets globally, to Westminster and Whitehall. Prime Minister Cameron is standing down, paving the way for a new Prime Minister of the United Kingdom. The outcome of this contest will be known by September 9. As well as choosing a Cabinet, it will be up to the new Prime Minister to formally start the process for the UK’s exit. Importantly, this decision is not only relevant to the UK, but also the British Virgin Islands (BVI) and other Overseas Territories (OTs) who are legally associated with the EU on the basis of Britain’s current EU membership. The BVI has had a longstanding and beneficial relationship with the EU in which we benefit as British citizens from the ability to travel, study, work and live in the EU. Understandably many people are concerned about the near and long-term impact on the Territory of the UK leaving the EU and how they will be personally affected. Let me first remind the public that there will be no immediate changes to the UK and BVI’s existing arrangements with the EU. This is because the UK under its EU treaty obligations must negotiate its withdrawal, a process which will take at least (2) two years after the UK Government advises the EU formally of its intention to leave the bloc. One issue that many BVIslanders are concerned about is travel and migration rights. British passport holders and those holding British Overseas Territories Citizens passports in the meantime will continue to be able to travel as normal. Similarly, British citizens will be able to live, work and study in the EU, visa-free, as was the case before the referendum. However, the free movement of UK passport holders within the EU will, of course, be a subject for the exit negotiations. I want to reassure the public that my Government will be working with other Overseas Territories to make our case to the UK Government that the Overseas Territories should be directly involved in Britain’s negotiations with the EU to ensure that the interests of our people and territories are met. This means going beyond purely consultation. Let me clear. We want to be more than consulted. Just yesterday, I spoke to Minister Duddridge who has responsibility for the Overseas Territories, and he assured me of the UK’s Commitment to ensure that its exit negotiations also take into account the interest of the OTs. While I thanked him for the commitment, I reiterated our position that BVI and other Overseas Territories must be engaged in the discussions where it is of relevance to us. Our London Office has already begun engagement in this regard as BVI holds the Chairmanship of the United Kingdom Overseas Territories Association (UKOTA) of which I am the President of its Political Council and Mr. Benito Wheatley our UK and EU Representative the Chairman. Now, while these events are happening thousands of miles away it is clear that there are implications which are closer to home and in which we have an important stake. The UK decision to leave the EU does present some immediate risks of which we must all be aware. First, the referendum outcome rattled the UK, European and international financial markets. The value of the pound dropped, and continues to be volatile. British holiday makers do make up an important part (and is the largest grouping) of our tourist arrivals from Europe, who will understandably be concerned about their financial position and likely hesitant to spend as before. If the pound does not recover its lost value in the weeks ahead and months ahead we could see a tapering off of UK visitors to the Caribbean, which would affect the BVI. We will be monitoring this closely in the weeks ahead. Despite the uncertainty presented by Brexit, we remain confident in our tourism product and ability to attract European tourists to the BVI over the longer term who wants to enjoy our world class sailing and beautiful beaches. Very importantly, it should be noted that most of our tourists do originate from the United States and so the impact on our Tourism industry in that regard will be limited. In the financial services arena, we remain an attractive jurisdiction for international business. In fact, there is the potential for the BVI to become a greater strategic asset to Britain as a territory outside of the EU, in terms of channeling investment into the UK economy to drive infrastructure and housing development as well facilitating UK investments into other regions globally. Our financial services sector – with which we have been in close contact during this period – is well diversified, with much of our business now originating in Asia, which has been less impacted by the outcome of the referendum. The BVI has had a beneficial relationship with the EU. We have grown and deepened our relationship with EU institutions over recent years, and while we do not receive any direct funding there are regional programmes ranging from biodiversity to strengthening the development of small and medium-sized enterprises. As you will recall, in 2015 I hosted EU meetings here in the Territory in my capacity as Chairman of Overseas Countries and Territories Association (OCTA), alongside the European Commission for International Cooperation and Development Mr. Neven Mimica. My theme was ‘Unlocking the value of the OCTs’. My key objective was to secure EU support for setting up centres of excellence in the BVI and other territories and establishing them as regional hubs. Progress is being made following up on this agenda. I am pleased that the EU is currently funding the Caribbean Small and Medium Enterprise Project, which BVI manages, that is strengthening the territory’s ability to support our small businesses. We will also benefit very soon from the EU-funded Territorial Strategies for Innovation (TSI) project, which is aimed at making innovation a driver of economic growth as we seek to diversify the economy. In terms of EU commitments to provide future technical assistance and support to the BVI on climate change, sustainable energy, and marine biodiversity, I will insist to the UK Government and EU that they follow through on their obligations. This support will assist my Government in delivering its sustainable development agenda with respect to less reliance on fossil fuels, driving sustainable tourism and adapting to extreme weather events. BVI has not only received support from the EU, but has been a leader in the EU arena. The BVI Co-Chairs with the European Commission the OCT-EU Financial Services Partnership Working Party (PWP), which met earlier this month to discuss financial services issues. We also represented the OCTs at the United Nations’ Third International Conference of Small Island Developing States, from which the OCTs currently benefit in terms of renewable energy. The value of the EU to the BVI has been set out in a report recently published by UKOTA on the benefits and prospects of the OT-EU relationship. 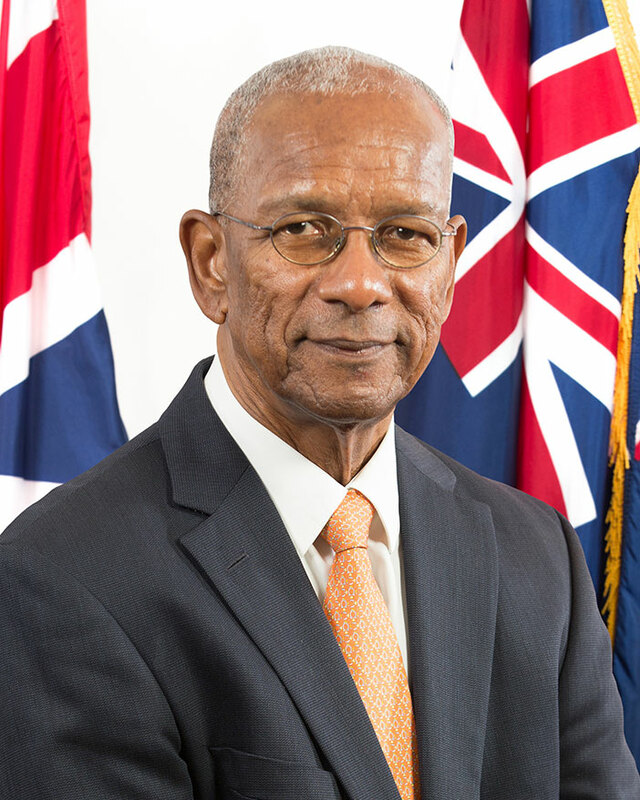 The report was commissioned by the UKOTA Political Council of which I am President to ensure the Overseas Territories and other stakeholders are aware of the value of the territories’ relationship with the EU. This report is available to the public and can be found on UKOTA’s website. Ahead of the Pre-Joint Ministerial Council hosted by the Turks & Caicos Islands next month, a second report will be published which will look at the prospects for the OT-EU relationship following the UK vote to leave the EU. My fellow OT Leaders and I will consider the finding of the report and determine our positions on negotiations with the UK Government. We will remain vigilant as the situation progresses. This is inevitably a time of uncertainty as new political leadership in the UK is defined, and it comes to terms with its new reality outside the EU. During this period, we will continue to make our case both to the UK and the wider European community to ensure that we achieve a position of maximum advantage for the BVI. However, it is time for the BVI to look at what is best for its people in the longer term. This must be a priority for all of us and will be a personal focus for me as we move forward. I look forward to reporting back to you in due course as my Government considers the implications of Brexit and next steps in safeguarding the interests of our Territory.